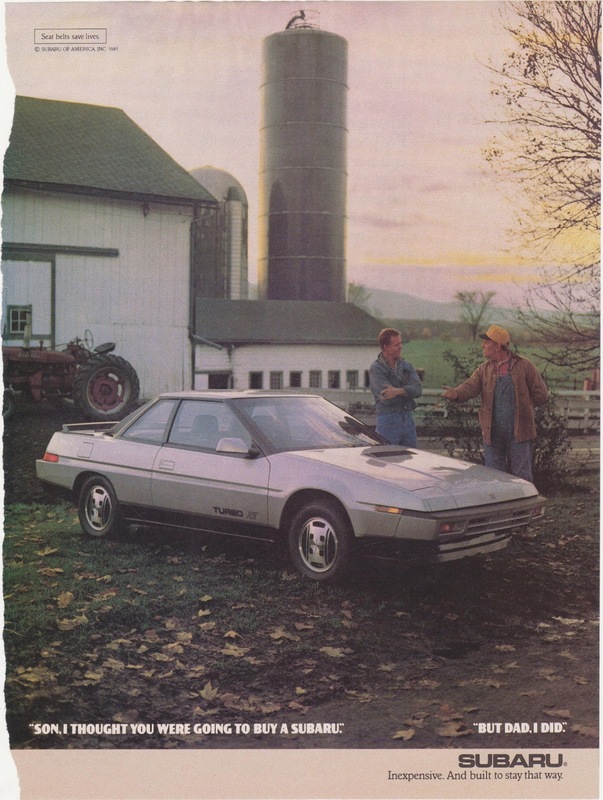 What if you're in 1985 and you want a sporty 4WD car but the Eagle SX/4 just seems a little too old-fashioned? Well as a resident of 1985, Subaru has you covered. 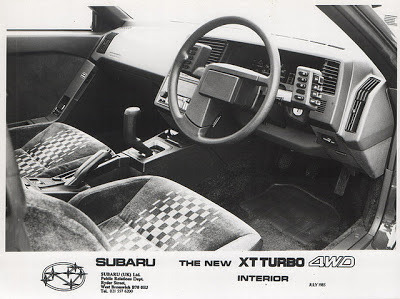 Debuting that year, the angular Subaru XT was the radical, aircraft inspired answer to a question few had asked. In 1985 the XT was available with a turbocharged 1.8 liter flat four cylinder engine that pumped out an overwhelming 112 horsepower. 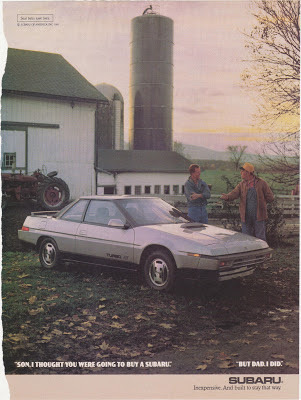 But the engine was only a part of what made the Subaru XT so quirky. Interesting details appear wherever you seem to look. The windshield is cleared by a single center mounted wiper, the door handles are completely flush with the door when not in use and the button that activated the XT's 4WD system was mounted on a red button at the top of the gearshift. Symmetrical steering wheels are too mainstream. The XT was one of the first sporty Subarus. Sure there were cars like the BRAT that were fun but the XT was designed for driving rather than practicality or utility. The XT later went on to gain a flat six engine as the XT6 and ultimately evolved into the Subaru SVX. The current crown jewel of Subaru's line, the Impreza WRX STI will easily outclass the old XT Turbo in any performance metric but nothing Subaru has made in a long time can match the XT for pure zaniness or futuristic thinking.